Perfect for residential and commercial environments, this round garbage can is a resilient and dependable option. 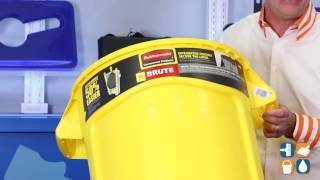 Manufactured by Rubbermaid Commercial Products with seamless design, this Brute 32 Gallon Trash Can is constructed of polyethylene material that won’t depress, oxidize or seep out liquids. Innovative venting channels allow for easy removal of liners, preventing injury. Rubbermaid quality can be seen through the durable frame and foundation. 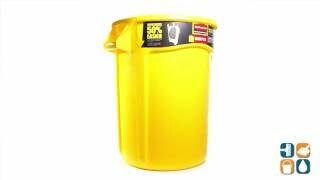 This yellow trash can is NSF/USDA approved for food contact and NSF tested/certified. 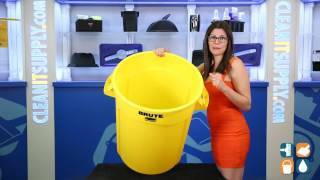 Dimensions for this Brute 32 gallon trash can are: 27-1/4" in width x 22" in diameter. Strong, snap-on lids are sold separately (RCP2631, RCP263788, RCP3543).